Reprint of Lettische Trachten deck first published in Latvia in 1918. 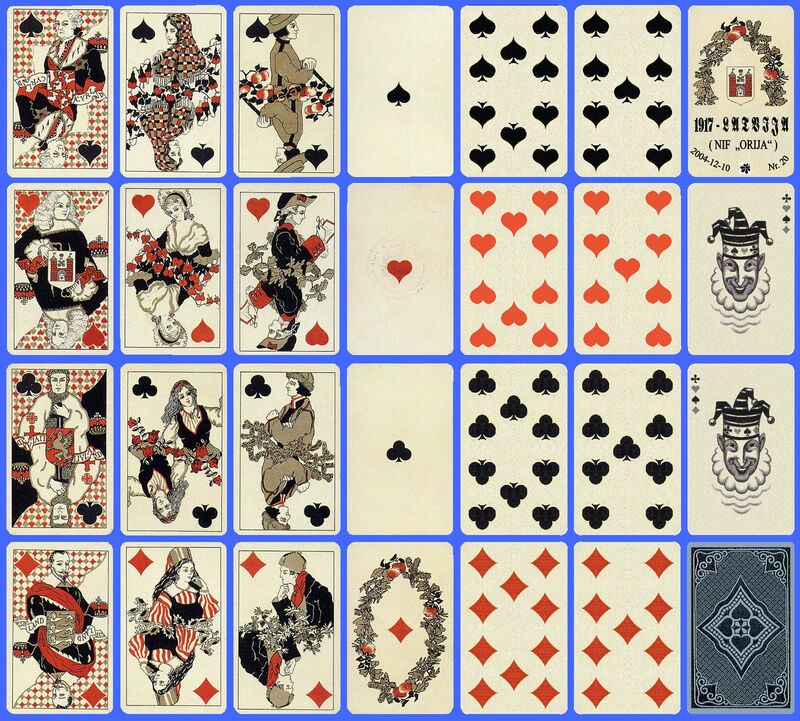 These playing cards with Latvian costumes were published for the first time in Riga in March 1918 supported by the government of Kaiser's Germany with the intention of involving the Baltic area in Germany's political agenda. 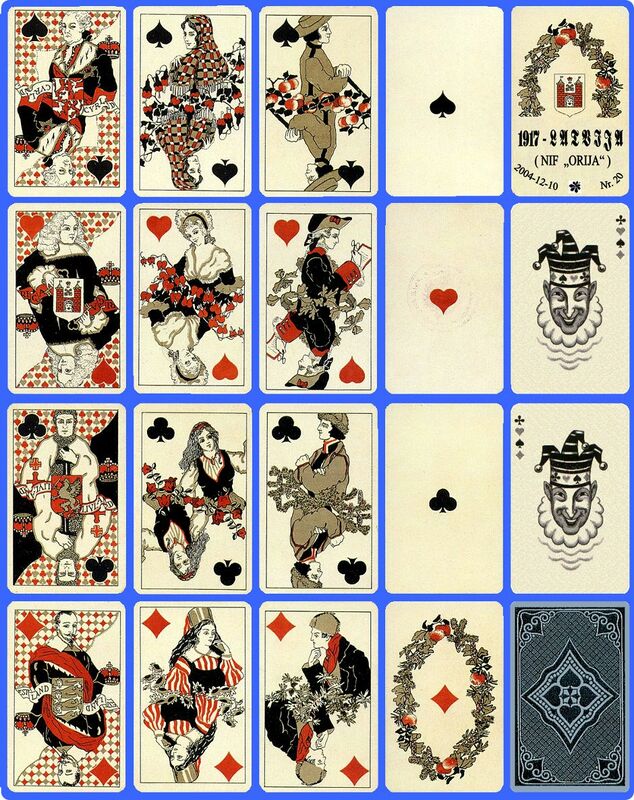 Above: reprint of “Lettische Trachten” deck with designs featuring Latvian folk costumes first published in Latvia in 1918. Images courtesy Albinas Borisevičius.